The tax code is fundamental to the operation of PAYE. Not only does it ensure that employees’ tax is calculated by reference to their own personal allowance, it also ensure that Scottish and Welsh payers are identified so that tax is paid at the correct rates. Codes for Scottish taxpayers have a ‘S’ prefix, whereas those for Welsh taxpayers have a ‘C’ prefix. HMRC have begun their annual task of sending out P9 Notice of Coding email notifications advising employers of the tax code that they should use for employees for the 2019/20 tax year. Employers who have not received codes by 22 March 2019 should call HMRC’s employer helpline on 0300 200 3200. If the employer has received a P9(T) or other tax code notification for the employee, the latest code should be used. If no notification has been received, the code should be updated in accordance with the instructions contained in leaflet P9X. For codes with an ‘L’ suffix, employers should add 65 to the 2018/19 code, so that 1185L become 1250L. 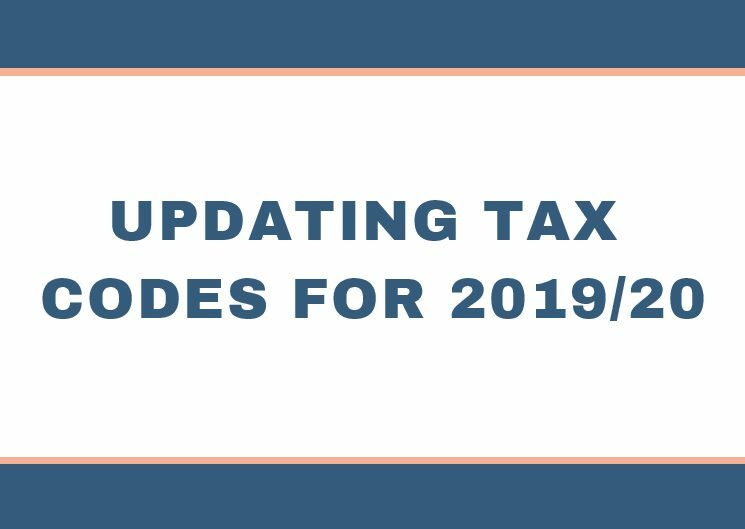 Employers should add 71 to 2018/19 codes ending in M, and 59 to 2018/19 codes ending in N to arrive at the 2019/20 code. Some codes can be carried forward unchanged – BR, SBR, D0, SD0, D1, SD1, SD2 and NT. Care should be taken when updating the codes that they apply from the start of 2019/20 tax year only.